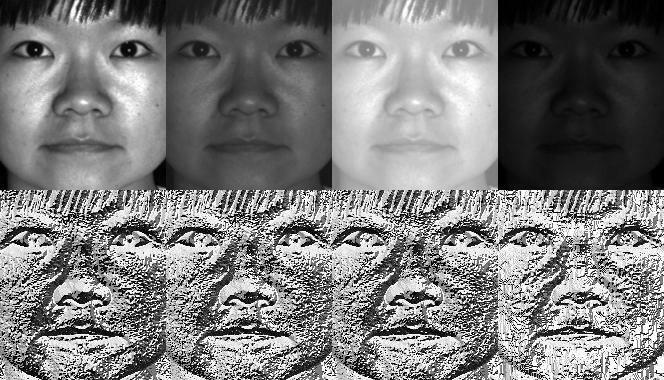 The OpenCV library is built with the LPBH or Local Pattern Binary Histogram facial recognition that can be utilized to identify the face that is presented by the user. It is important that the user recognize the difference between facial detection and facial recognition. The act of facial detection simply relays to the user if there is a face in the frame and most often there is a box that is place around what is known as the ROI or region of interest. On the other hand, the facial recognition that I will be discussing is the task of identifying who the face that is being shown in the frame belongs to with respect to a pre-loaded training set. LBPH facial recognition uses a dataset of pictures that the user provides to train the system prior to prediction. The actual back-end of the program accesses each picture to perform a comparison of the frame and the pre-trained dataset. After the use of this the creators figured out that a fixed neighbor hood as I described above was not performing under scale differentiation. This problem was fixed with the use of a variable radius that altered the number of sample points for the neighborhood. An example of the Local Binary Pattern that is created using the image can be seen below. Later this information is used to construct numerous histograms that form a feature vector for the prediction. Using OpenCV and python we can create a simple script to perform a lightweight facial recognition with a minimal amount of steps. A sample of training can be seen below, with face_detect being a script I created for ROI cropping. The call to live detect performs the actions mentioned in the steps.